My son and I love to eat Korean foods and we are glad that there are a number of Korean restaurants around Subic Bay. My son used to work in an English school catering to Korean students, so from there he has developed a love for Korean dishes. 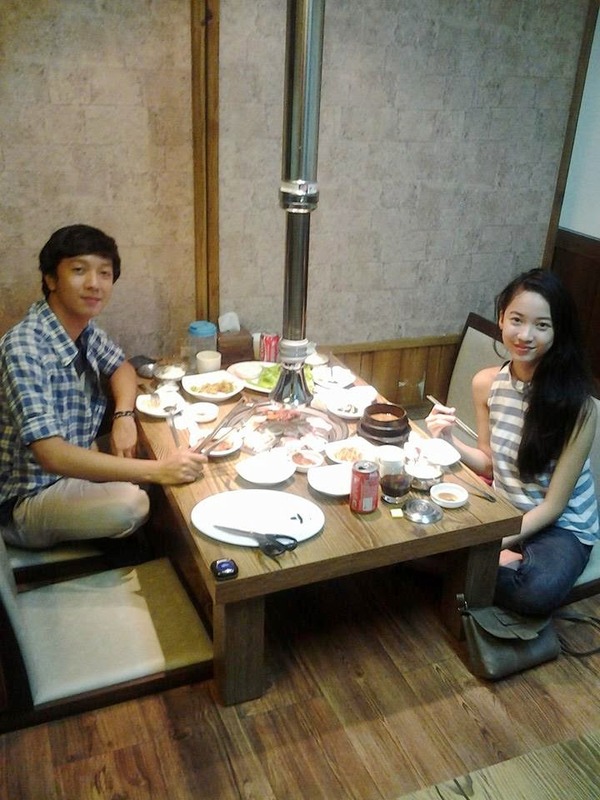 He had that opportunity to explore and dine out with his Korean students and friends and he seemed to be enjoying it. Those who didn’t have a place to stay found that it wasn’t a problem too, as there are so many budget-friendly hotels in Subic. As for me, I began my love for Korean dishes when I started to work abroad and got the chance to taste different South East Asian cuisines. I would say that my son and I had a lot in common when it comes to foods. We both love spicy foods and we cannot eat well without a variety of dips and spices around our table. There was this Korean restaurant inside the Subic Bay Freeport Zone which my son used to go together with his Korean friends and he brought me there one day. It was near to Harbor Point and despite the fact that the place is plain and simple, it is cozy and inviting. We actually ordered two kinds of meat viands and I was surprised that these came with a number of side dishes and a soup, plenty enough to fill the entire table. My daughter Mika was with us and she really enjoyed grilling her own food. It was such a nice experience for all of us and as expected, I couldn’t stop them from taking photos one after another. The rice they served to us was not a part of the package, this was charged extra and a bit pricey too, but the taste is really good and it seemed to be really different from the usual servings of rice from other restaurants. Drinks were also not a part of the package, so you need to pay extra for this. Nonetheless, this was still a great experience and I was very pleased that we could also ask for refill of the side dishes. Now, let’s go to the other aspects of the restaurant like the service and the price of the foods. The service was considered good as the food servers were attentive, very friendly and were checking on our needs from time to time. Our orders were served reasonably on time and even faster than we really expected. I think, it would be an added factor if they could have some instrumental music playing on the background, soft enough to still let the customers engage in a conversation. As regards to the price of the foods, I guess these are priced reasonably and within the standard range. Meat viands are charged from 300 to 700 per order depending on the kind of meat you want. This comes with all the side dishes like kimchi, salads, soups, appetizers, green veggies and a number of dips and sauces. The sour soup tasted heavenly and was an instant favorite. 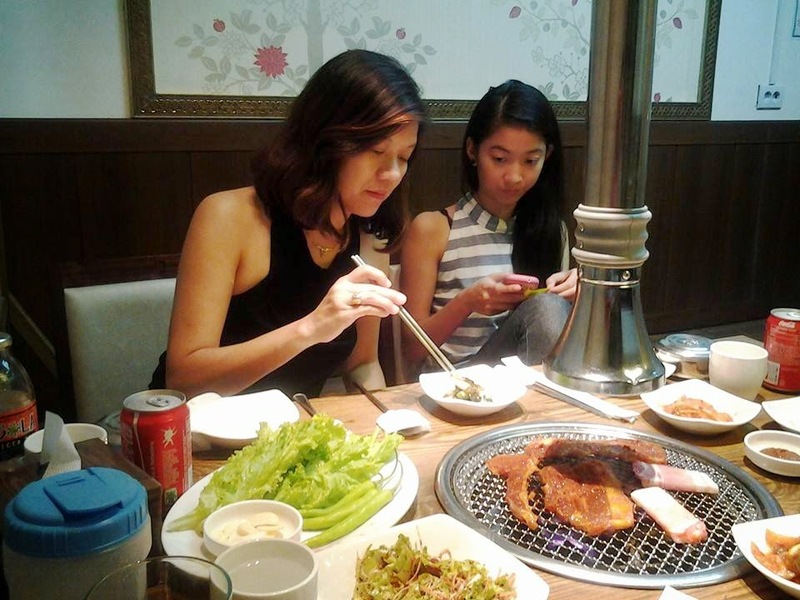 This Korean Restaurant is located just across Harbor Point Ayala Mall. You wouldn’t expect a lot when you look at it from the outside but the moment you enter the place, you will be surprised. It’s simple but looks clean and nice. The restaurant’s name was written in Korean so it’s very hard for me to mention it here but this is very easy to find as this is the nearest Korean restaurant to Harbor Point Ayala Mall. Trying different restaurants around Subic has always been our favorite bonding experience aside from spending time on those wonderful beaches around the area . You may want to check Lonely Planet if you wish to go for the same fun and adventure. We don’t always have the time to go out together as we are all busy within the weekdays and sometimes tight schedule would even extend until the weekend so having had the opportunity to go for a food adventure like this has always been special for all of us. We had done the same thing during our trips abroad and it has always been a nice and memorable experience. My family is also considering to explore other nearby cities and provinces and I guess each destination has it’s own stories to tell when it comes to foods. I am looking forward for more food trips and adventures with my family and I hope that we could do it more often.